Toyota is one of the best automakers in the world for good reason. Years of development and production go into each engine before it is released to the public. It is for this reason that car owners appreciate Toyota engines. The fuel economy and horsepower that is put into these passenger cars gives drivers the alternative that they need to a Ford or Chevy. Find Toyota car engines for sale in our inventory. You will find that our engines give you the quality that you want and not a high price like you have seen from others online. 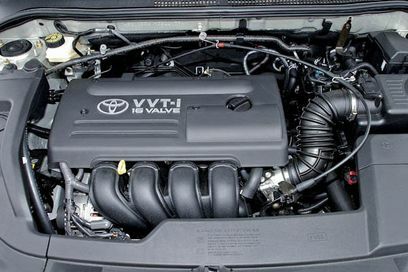 At www.carenginesforsale.com, we find, buy and remanufacture the best Toyota engines you will find. Because we sell several engine types, we make it fast and easy to get what you want. If you are tired of paying high prices for a new engine, a used or rebuilt engine can give you excellent performance with nowhere near the price of a new engine. We discount our engines to be more than fair to our customers. We never get tired of hearing how cheap our engines are and how happy that makes our customers. You can find Camry, Corolla and Lexus engines in SOHC or DOHC in our huge Toyota inventory that are ready to ship today. The difference between an untested engine and one that is tested will surprise you. You can find an excellent deal from an online seller, but unless the engine is marketed as tested you could have issues. The general wear and tear that a Toyota engine goes through takes a toll on parts. While these engines offer fuel economy, a problem can happen that makes them less reliable. Our dyno computer testing puts potential problems to rest. We hook each used or rebuilt Toyota engine up to our system and our mechanics begin a thorough test. The results are measured and evaluated to give you a great engine at an even greater low price. Before we can put our name on an engine, we get the OK from our engine mechanics to offer an engine for sale. We know that when they are certified that they are ready to go. This eliminates any issues that can happen after you complete your installation. We don’t get phone calls of complaints about ignition issues, compression problems or fluid leaks. The strength of our testing helps build our reputation as a trusted Toyota car engines for sale dealer online. We know Toyota motors inside and out. We will not allow any type of engine problem to tarnish our reputation. Call 1-877-630-3873 or get your Toyota engine quote online. You can find any Toyota engine that is made in our computer database. If we don’t happen to have it in stock, just ask us the price and you can decide if you want us to get it for you. Ordering is fast and easy. We ship any engine order the same day that it is processed. We don’t make you wait to experience the quality of our engines for yourself.